A-Z Rigging & Scaffolding has tendered successfully over the years for contracts to erect structural steel through out New Zealand, Australia and Europe. We have undertaken projects with a limited completion dates and have done so on time. A-Z Scaffolding was contracted by Downer Construction to assemble two 35 ton box truss bridge sections and lift them into position over a gorge between Blenheim and Nelson in New Zealand's South Island. 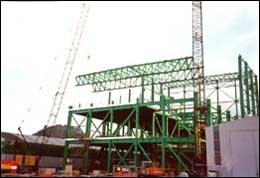 The crane used was a 150 ton Haitahi supplied by Downer Construction. 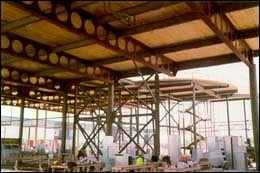 A-Z Rigging & Scaffolding are our preferred Contractor for any work at our plant. We have found them very prompt and efficient in any work they have done for us. We have no hesitation in recommending them for work with any other company."